Any third party Websites or content there in directly or indirectly accessed through links in the Site, including but not limited to any errors in or omissions there from. The unavailability of this Site or any portion thereof; your use of any equipment or software in connection with the Site. Loss, injury, claim, liability or damages of any kind resulting from the use of or the inability to use the materials in the Website , even if Palladium had been advised of the possibility of such damages and regardless of the form of action, whether in contract, tort or otherwise. Special, direct, incidental, punitive, exemplary or consequential damages of any kind whatsoever (including without limitation, attorney’s fees) in any way due, resulting from or arising in connection with the use of or the inability to use the Website or its content / materials. Palladium makes reasonable effort to ensure that the information provided on the Website is accurate but does not guarantee or warrant its accuracy, adequacy, correctness, validity, completeness or suitability for any purpose. Palladium accepts no responsibility with respect to the information on the Site. Use of this Site, by implication, means that you have gone through and agreed to abide by the Terms and Conditions and the Disclaimers on this site. Palladium does not represent that the information downloaded from this Website is completely error-free and accurate or the servers that make Palladium website available, are free of viruses or harmful components. Though due care has been taken to make the database completely reliable and error-free, Palladium claims exemption from any liability arising out of any such error in the data base. Palladium provides documents that you are likely to use in legal or non-legal transactions. All forms in this database are provided without any warranty, express or implied, as to their legal effect and completeness. Forms should be used as a guide and modified to suit your requirement and laws. Please use at your own risk. Using application’s mail server for relay (producing spam mails) is prohibited. However if you get such unsolicited mails, Palladium accepts no responsibility. To protect against the loss, misuse and alteration of the information under our control, we have in place appropriate physical, electronic and managerial procedures. For example, our servers are accessible only to authorized personnel and that your information is shared with respective personnel on need to know basis to complete the transaction and to provide the services requested by you. Although we will endeavor to safeguard the confidentiality of your personally identifiable information, transmissions made by means of the Internet cannot be made absolutely secure. By using www.palladiumchennai.com you agree that we will have no liability for disclosure of your information due to errors in transmission or unauthorized acts of third parties. The Websites are not set up to automatically collect personally identifiable information from each visitor to the Website. It does recognize the home server of visitors, but not e-mail addresses. For example, we can tell which Internet Service Provider our visitors use, but not the names, addresses or other information about our visitors that would allow us to identify a particular visitor to our Website. This information is used only for internal purposes by our technical support staff. The Website does track certain information about the visits to Palladium Market City. For example, we compile statistics that show the numbers and frequency of visitors to the Website and its individual pages and time spent by each visitor on each page. These aggregated statistics are generally used internally to improve the Website and for product development and marketing purposes. Those aggregated statistics may also be provided to advertisers and other third parties, but again, the statistics contain no personal (specific) information and cannot be used to gather such information. This information may also be used to enable us to enhance your Site visit, to assist you with customer service or technical support issues, or to follow up with you after your visit, or to otherwise support your relationship with Palladium . It is completely optional for you to participate. However, failure to participate may mean that you cannot access and use certain information, materials and services. Log-on to certain areas of the Website www.palladiumchennai.com where you may be prompted to provide us with your Log In Name and Password as a condition to gaining access to certain information, materials or services or support. In each of the instances above, we typically ask for your name, e-mail address, phone number, address, area of practice information, product preference information, Log In Name and Password, as well as, other similar personal information that is needed to register or subscribe you to services or offers. On occasion, we may ask for additional information to enable us to provide you with access to and use of certain information, materials and services. If you no longer desire our service, you may correct, update, amend or request deletion by making the change on our account information page or by emailing customer support at palladiumchennai@gmail.com. Palladium uses your personal information for specific purposes only. The personal information you provide to us when using the Website, such as your name, postal, e-mail address or telephone number will be kept confidential and used to support your relationship with Palladium to notify you of special offers, updated information and new products and services from Palladium or offers from third parties that we think may be of interest to you. Agents or contractors of Palladium who are given access to your personal information will be required to keep the information confidential and not use it for any other purpose other than to carry out the services they are performing for Palladium may enhance or merge your information collected at its Website with data from third parties for purposes of marketing products or services to you. With respect to network advertising companies (companies that manage and provide advertising for numerous unrelated companies), to the extent that Palladium utilizes such advertising companies to provide advertisements on the Website Palladium may provide them with your Sign in Name and any demographic information about you that we collect. Those advertising companies may combine that data with non-personally identifiable data collected by the advertising company from your computer, solely for the purpose of delivering on our Website, advertisements that are targeted to you. Circumstances may arise where we are required to disclose your personal information to third parties for purposes other than to support your customer relationship with Palladium Market City, such as in connection with a corporate divestiture or dissolution where we sell all or a portion of our business or assets (including our associated customer lists containing your personal information), or if disclosure is required by law or is pertinent to judicial or governmental investigations or proceedings. We will send you information about our various products and services, or other products and services we feel may be of interest to you. We may also us the information to tailor our site to your interest, to provide the services requested by you, to preserve social history as governed by existing law or policy and conduct surveys. Only Palladium (or agents or contractors working on behalf of Palladium and under confidentiality agreements) will send you these direct mailings. Palladium reserves the right to revise, amend or modify this policy at any time and in any manner it pleases. Any such modification shall be notified/posted herein and shall be effective immediately thereafter. Some contents on the site belong to third party. Such contents have been reproduced after taking prior permission from the said party and the copyright of such contents would remain exclusively with the said third party. Palladium shall not be responsible for any mistakes which might appear in such contents. Third party contents may also be accessible via links. Palladium does not claim any copyright on the contents appearing on such third party sites nor shall be held responsible for any mistakes which might appear therein access to Palladium services and content is subject to Terms and Conditions which you accepted during the registration process. These Terms and Conditions contain warranty disclaimers, guidelines for link to other websites & linking disclaimer and limitation on use. Palladium grants users of this website the permission to reproduce copies of the material strictly for private purposes to fight a case in the court of law and for allied research purposes. While no pecuniary consideration is required for this permission, Palladium requires the following statement to be included in all reproductions of the material. 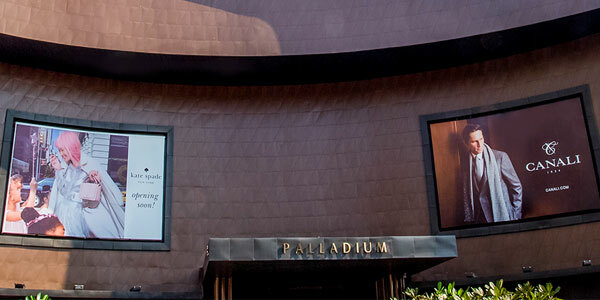 Palladium. All rights reserved. Reprinted with the permission of Palladium . You are also not supposed to use any part of the material including graphics or logos available on the Palladium Website for the purpose of copying, photocopying, reproduction, translation or reduction to any electronic medium or machine readable form, either in whole or in part, without prior written consent of Palladium . Any other reproduction in any form without the permission of Palladium is prohibited. May list along with your name, address and email address, your own website’s URL. May recommend third party website s, goods or services so long as you have no financial interest in and receive no direct or indirect benefit from such recommended Website, product or service or its recommendation. In no event may any person or entity solicit anyone with data retrieved from this Website. This Website may contain advertising and sponsorship. Advertisers and sponsors are responsible for ensuring that material submitted for inclusion on this Website is accurate and complies with applicable laws. Palladium will not be responsible for the illegality of or any error or inaccuracy in advertisers or sponsors materials or for the acts or omissions of advertisers and sponsors. anyone other than you to use the sections requiring registration by using your name or password. If you participate in interactive areas on this Website , you shall not post, publish, upload or distribute any messages, data, information, text, graphics, links or other material (“Postings”) which is unlawful or abusive in any way, including but not limited to any Postings that are defamatory, libellous, pornographic, obscene, threatening, invasive of privacy or publicity rights, inclusive of hate speech, or would constitute or encourage a criminal offense, violate the rights of any party, or give rise to liability or violate any local, state, federal or international law. Any interactive area of this Website is provided solely for your personal use. As a participant, you shall not include in your posting(s) or otherwise distribute on or through this Website any content or material containing any advertising, promotion, solicitation for goods, services or funds or solicitation for anyone to become members of any commercial enterprise or organization without the express written permission of Palladium . Any unauthorized use of any interactive area of this Website, its Content or Postings is expressly prohibited.